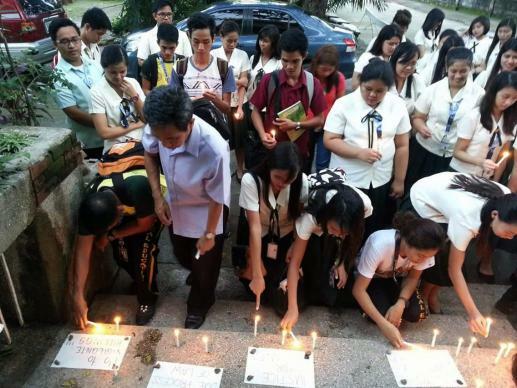 Earlier, on Aug. 31, United Methodists joined in a metro-wide candle lighting in front of St. Domingo Church in Quezon City against extrajudicial killings. The gathering was sponsored by the Promotion of Church Peoples’ Response, the Association of Women in Theology and the Ecumenical Women’s Forum. In a unity manifesto, “Stop the Killings,” the sponsoring groups expressed alarm that nearly 1,000 people had been killed in a month’s time. “We unite to demand an end to the killings in the name of the ‘war on drugs,’” the manifesto said. “Justice and due process must be upheld. Human rights must by no means be violated. An ongoing “ kill list” is being used by the …Read More….